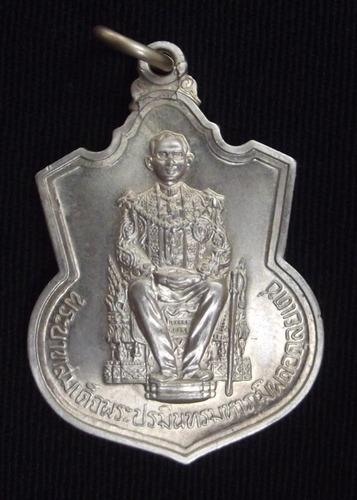 A Classic Collectors Coin Amulet of His Majesty King Bhumipol Adulyadej (Rama 9). here is a Pim Niyom and a Pim ‘Mai Niyom’. The Pim Niyom has more fine details, especially on the Hairs, and is the preferred amulet of the two Pim. Made from ‘Nuea Albaca’, Albaca is a mix of silver and metal alloys, with sacred artifacts smelted into the molten metals during the casting. The rear face features a Trishul (Trident Dagger), and the Chakra of Pra Narai (Vishnu). As can be imagined, a Massive and Official Putta Pisek Ceremony was performed on this most revered of Votive Coins. The Year of issue 2539 BE (1996) is embossed on the rear face. 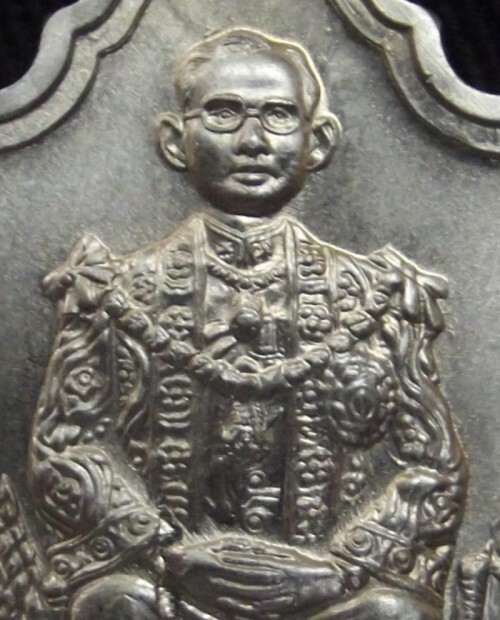 The Coins were made to Commemorate 50 Years of the Reign of His Majesty Khing Bhumipol Adulyadej (Rama 9), in the Year 2539 BE, issued by the Grasuang Mahad Thai (Ministry of the Interior). A Must for Those who revere Our King, and for those who are Serious Collectors of Amulets with Royal depictions. 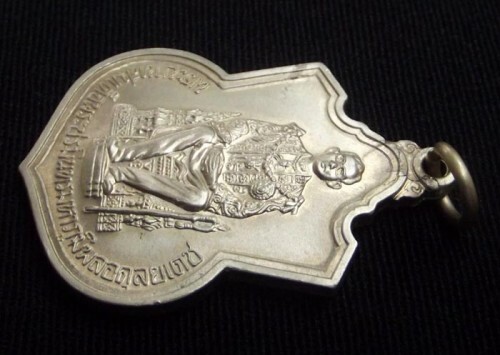 A Classic Collectors Item, for Distinguished Aficionados of this Genre of Thai Sacred Amulet. The Amulet was empowered by a large number of Master Guru Monks who lent their Protective Blessings on them with a very sacred ceremony as is to be Expected with the Empowerment of Royal Images. 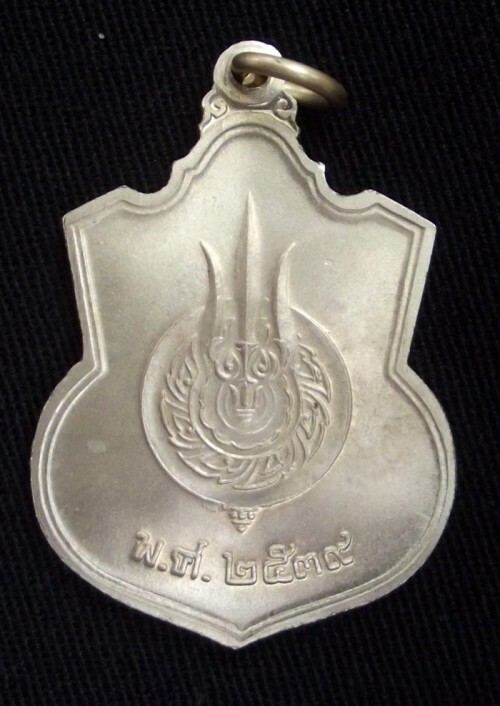 Various Survivors of Deadly Accidents and Events have said that they wore this amulet when they were miraculously saved – verious stories have arisen over the years, leaving this amulet with a confirmed and commonly known about History as an Effective Protective Amulet with Klaew Klaad, Kong Grapan, and ‘Maha Ud’ (gunstopper) Powers. 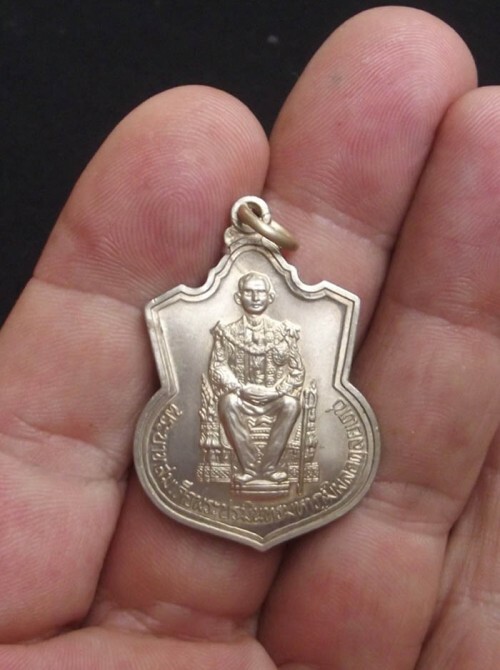 The amulet comes in the original plastic sachet with the stamp of the 50th Royal Anniversary on it.